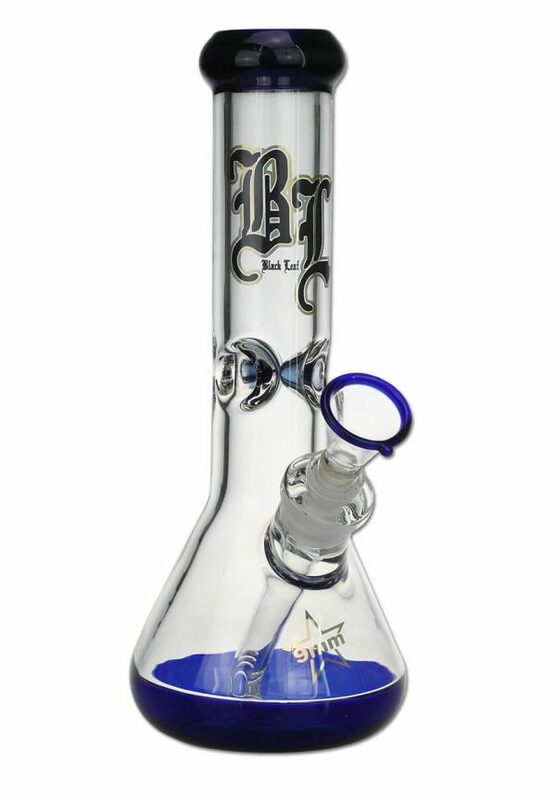 Blaze isn’t taking any prisoners with this bong. 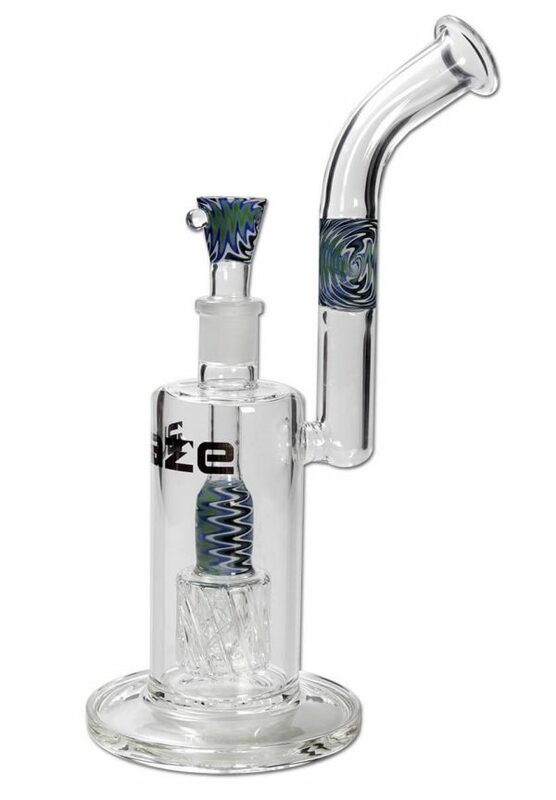 A hand-crafted bong from Blaze, the Obi fascinates with a striking and decorative mushroom below the mouthpiece . 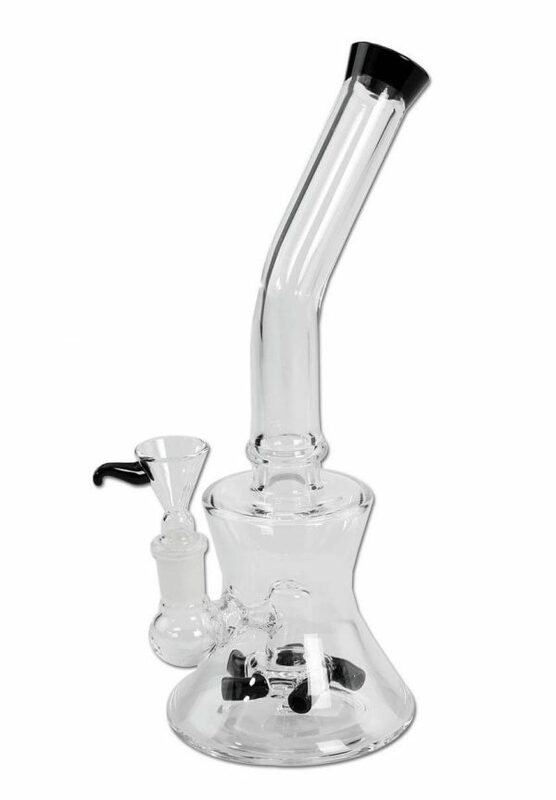 It serves as a splash guard for the 10-arm tree percolator underneath which ensures proper water and smoke diffusion. 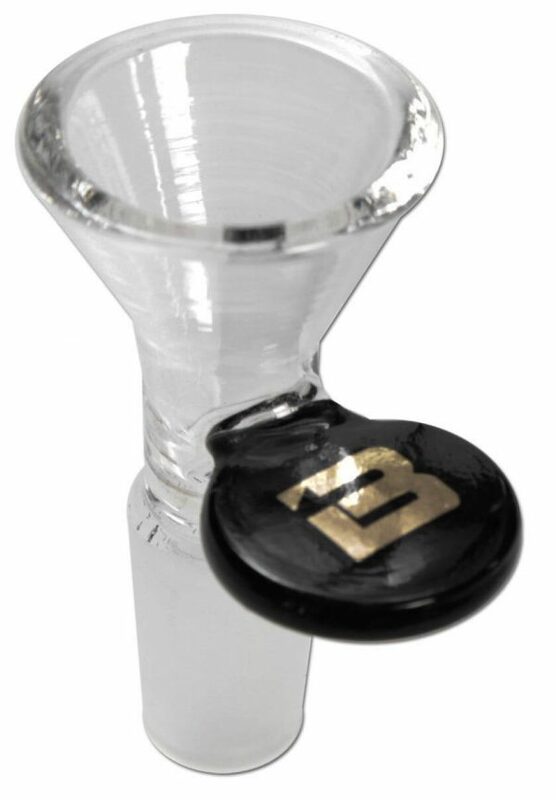 It is important to fill this pipe with water through the opening of the bowl as well as through the mouthpiece. 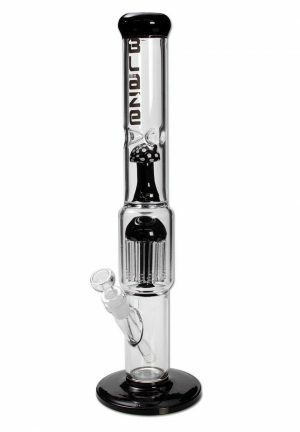 This robust bong is made of borosilicate glass with 5mm wall thickness. 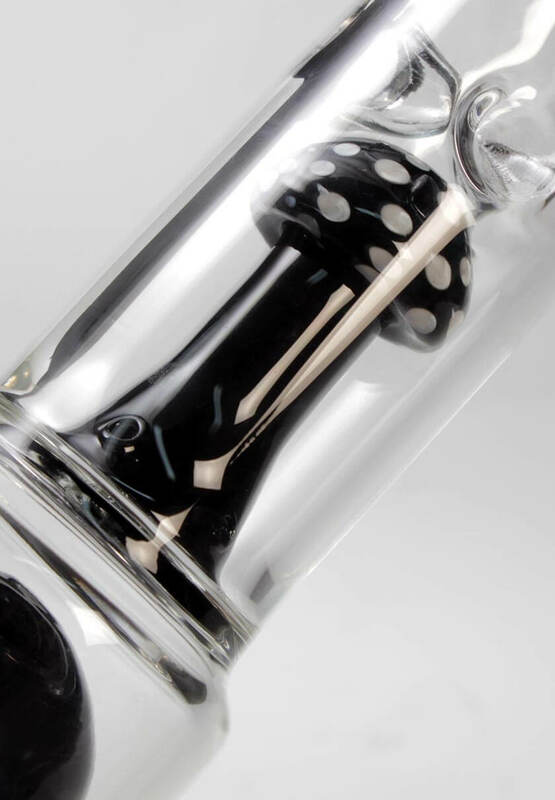 The bowl for your herbs has a hole of 8mm, the corresponding down-stem has diffuser slots for smoke filtering and cooling. A big round base ensures sturdiness and the ice notches keep ice cubes nestled above the mushroom. The silver ‘Blaze Glass’ print is proudly displayed on the front. 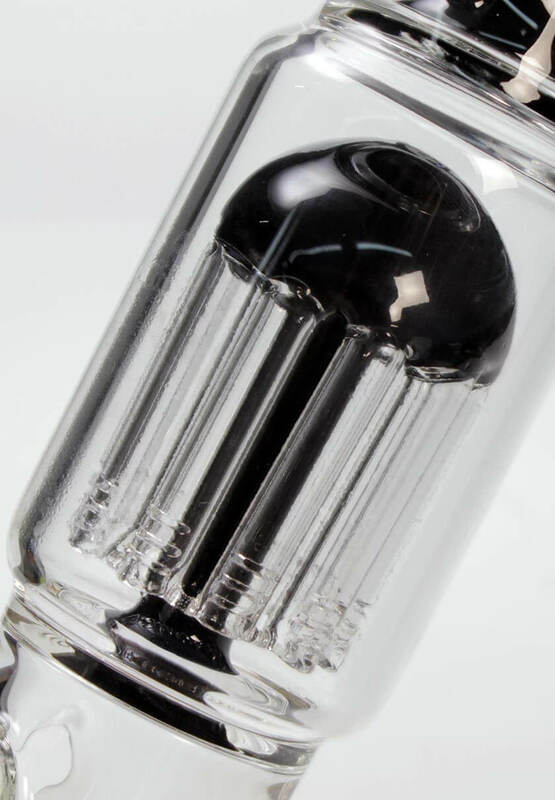 A kickhole completes the extraordinary glass pipe which guarantees a hit with full steam!